Lifeline is an easy-to-use, 24-hour service that provides quick assistance whenever it’s needed. Subscribers are able to live more independent, active lives at home because Lifeline's professional staff is ready to provide assistance, if needed. You're free to go about your daily activities with more confidence and less worry, even if you live alone. Offers access to help with or without the push of a button if a fall is detected. Is an easy-to-wear pendant style button that is comfortable and waterproof. Is the ONLY medical alert pendant with breakthrough technology that – if it detects a fall – will automatically call for help even if you can't push the help button or are unable to ask for help. Summon help – When you need help, just press your personal help button, which activates the communicator. 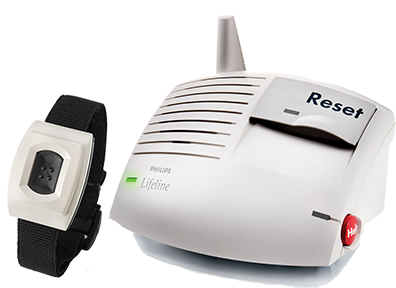 Professional Intervention – Your communicator then dials the Lifeline Response Center and establishes two-way voice communication. Personal Response – Within seconds, a Lifeline Response Associate accesses your profile and quickly assesses the situation. Closed Loop – The Associate then contacts a neighbor, loved one or emergency services based on your specific needs. The Lifeline Response Associate will follow up to confirm that help has arrived. Serving Gogebic and Ontonagon Counties in Michigan, and Iron County in Wisconsin. Serving Langlade and Forest County, and limited parts of Shawano, Menominee, Oconto and Marathon Counties. Monthly charge: $30 for one subscriber; $35 if two subscribers in the home. One-time enrollment fee: $35 for one subscriber; $45 if two subscribers in the home. Subscribers are issued a payment coupon book when their Lifeline unit is installed. 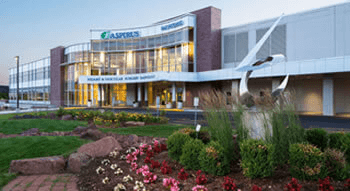 Payments are mailed directly to Aspirus Riverview Hospital. Easy to use: Press your waterproof help button anytime you need help. Responsive: Your communicator quickly dials our U.S.-based response center to get you connected. Accommodating: You decide how you would like to be helped – by a neighbor, family member or emergency professional. *Cost: $41/month. No landline service required. The communicator connects to Lifeline using a wireless network; no phone line is required. 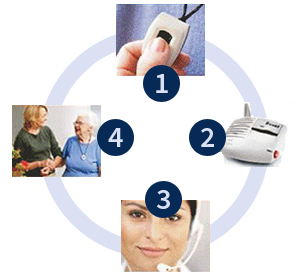 Wireless service is provided as part of your Lifeline Service; no additional wireless equipment is needed. *Cost: $38/month with Homesafe Standard Unit or $56/month with Homesafe Wireless Unit. GoSafe 2 System – for the active senior! *Cost: $99 one time Mobile Help Button purchase price, as well as: $45/month monitoring fee. The medical alert system that gives you access to help at home and on the go. The GoSafe button has 5 advanced locating technologies, Auto Alert fall detection, 2 way voice communication, 100% waterproof and is worn on a neck cord.